An episode of the timon and pumbaa Zeigen staring Shenzi, banzai, and ed. True oder false? 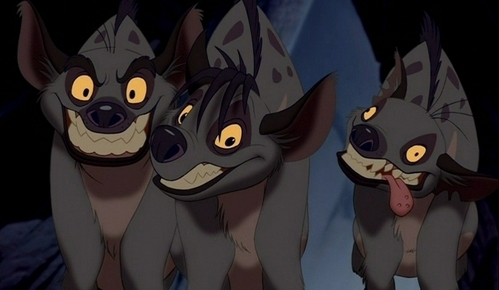 The only Disney movie in which hyena oder hyenas appear is "The Lion King" and its sequel, "Lion King 1 1/2".